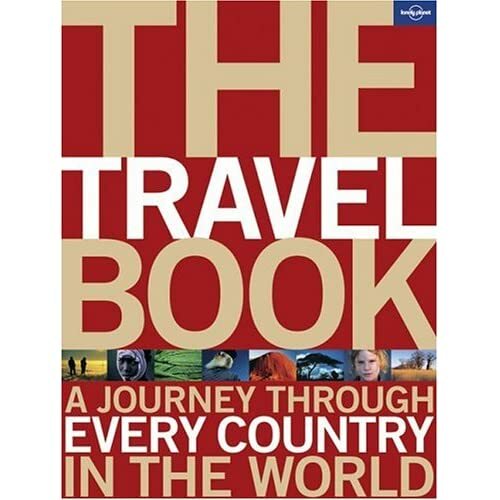 I’ve been looking through The Travel Book: A Journey Through Every Country In The World. It’s an attractive book, with nice photos, and a little information about each locale, many of which are quite exotic to me. I am particularly drawn to the pages on Greece and Eastern Europe. In July, I’ll be going on a Royal Caribbean cruise to the Turkey & the Greek Isles with my mom, departing out of Venice. I haven’t been to any of the Greek islands, but I have been to the mainland, specifically the city of Athens and the town of Delphi. I am looking forward to seeing a bit more of the Mediterranean coast and visiting Santorini. In case you din’t know, I’m actually quite an island girl. I was born on an island, and islands have a special place in my heart. We depart July 11, and we are going to try to go over a bit early to have a little extra time on terra firma. I’ve not been to Eastern Europe, so we may try that. I really want to see Budapest, which everyone says is so gorgeous. Protecting your personal and professional identity is vitally important because everybody knows everybody. Rather than 6 degrees of separation, I’m finding that a significant amount of new professional contacts are actually only 2 or 3 times removed from my former professional contacts. In the modern era people move around and communicate so easily and often with people in other social and professional groups. This is especially true in the areas I’ve been working in: data security and compliance. Just today I was chatting with a guy in Colorado who knew my former colleagues (back in San Diego) on a first name basis. The other night I happened to fall into a conversation with a CEO of a company that is a business partner of my current company. Of course, this is all predicated on the notion that your identity is good because you are consistently acting in an ethical fashion. When someone in the chain can’t be trusted, the whole system gets topsy-turvy. And so a corrolary maxim is that one has to align oneself with other people and companies that also have good reputations. I don’t want to be responsible for any suicide attempts, so don’t read this if you are a spender. frightening – for those that live paycheck to paycheck with no end in sight. or, it may give a false sense of security to a third group of folks who are doing better than average, but still not well enough to meet their ultimate goals for autonomy in the golden years. So what will you be doing with your tax refund this year? So far, I like my new MacBook Air. It’s nice to look at, lightweight, connects to and holds a wifi connection with reasonable ease. And pretty soon I am also going to buy an iPhone. So, let me just point out that I have made my living for years off of largely Microsoft technologies. It should probably say something to someone at Microsoft that I am willing to undergo the perturbations that accompany the change just to have the superior technology. In fact, it should probably scare the crap out of the veep of Marketing in Redmond that so many people are switching over to Apple products after years of being in the MS/PC camp. Still, I think I may have to break down and buy MS Office for Macs. Not because MS Office is a great program (it’s not) but because I have so many files in Word format that aren’t coming over 100% when I use OpenOffice. So basically, what I am saying, is that Microsoft is going to (temporarily) win my business on the software front, which is completely absurd when you think about the buggy code they’ve released over the years. Recently, scientists have discovered a solar system that is much like our own. Perhaps they’ll make the trekkies happy and adopt the Star Trek classification system. Are there any Class M planets in that solar system? Oh gosh, 2 Trek references in the past 3 blogs. I am such a geek sometimes — please excuse the pocket protector! You are currently browsing the Lura.net Blog archives for April, 2008.